Windows 7: What's your Internet Speed? Got a free upgrade for my comcast cable!! 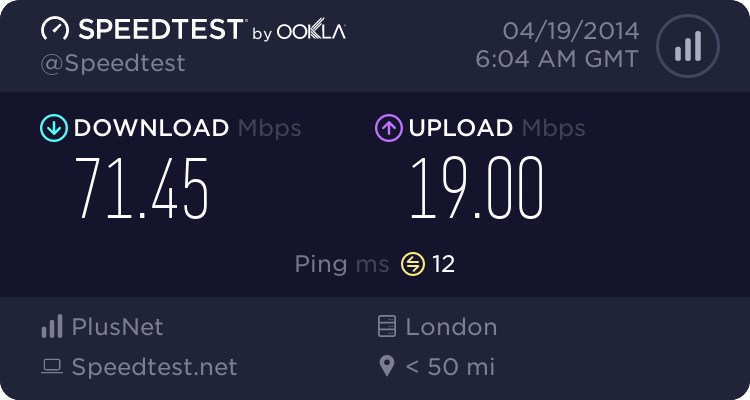 I am paying for the 50mb service, and got free upgrade to 105mb! 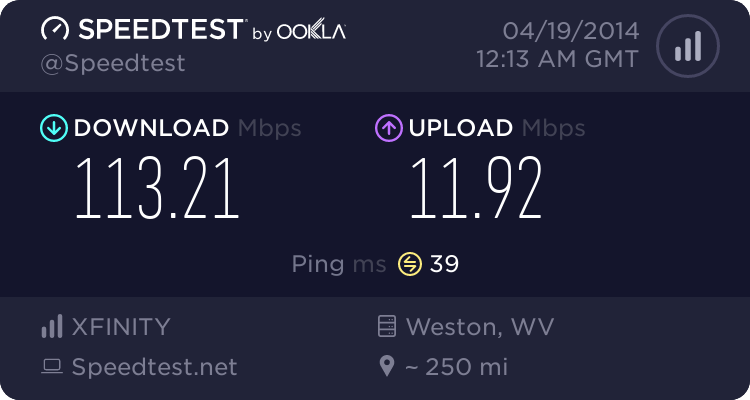 Good Download speeds there --- 113.21 --- it really is time that 100MB became the base line, Ethernet is capable of 1GB as far as I am aware!! I wish I had 100+ but really I have no use for it at this time. 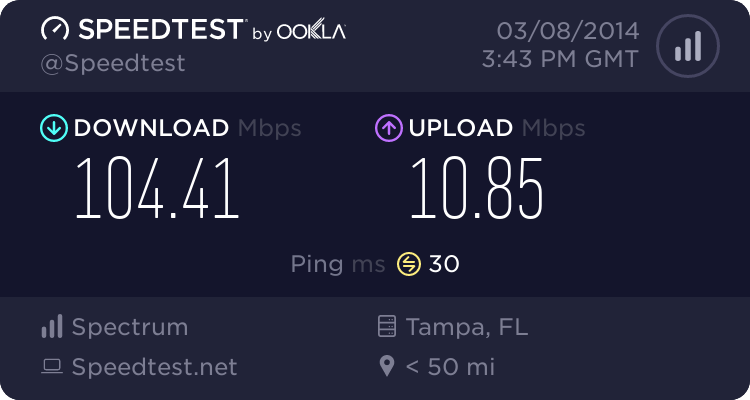 difference between the download speed and internet speed? 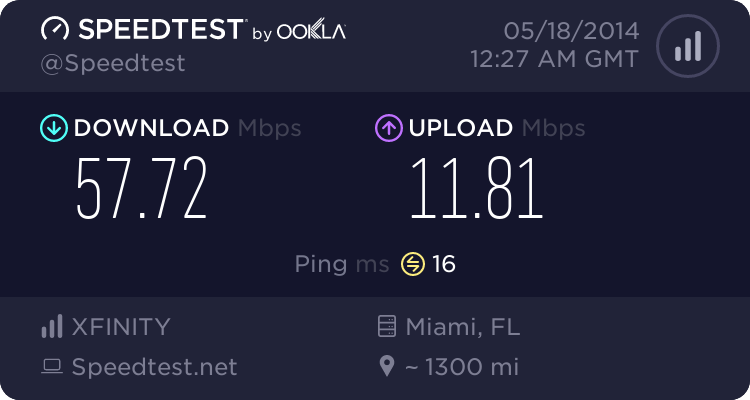 How do I speed up my internet speed? 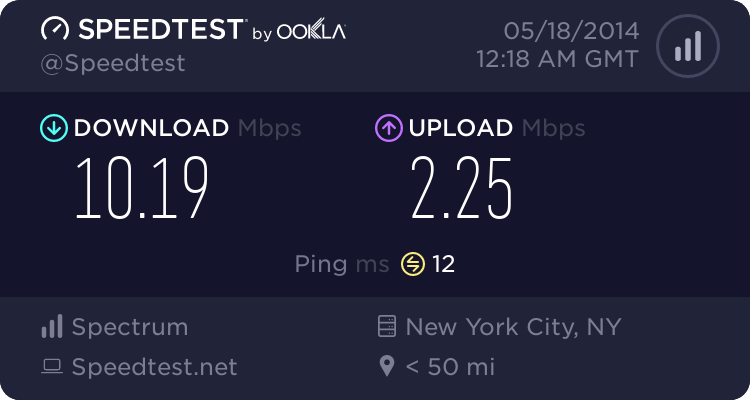 What is my Internet speed?